1931-Syndicate Pictures releases the movie “Riders of The North” starring Bob Custer as RCMP hero Sgt. Stone. The plot Co-starring Blanche Mehaffey, and Eddie Dunnfeatures the heroic Mountie on a case where he tries to figure out who killed one of his men. When the case reveals that the real murderers are attempting to frame an innocent man for their crime, Sgt. Stone intervenes and saves the day. A native of Kentucky, Raymond Glenn who chose the stage name Bob Custer was an actual cowboy who began performing in rodeo shows and moved onto the movies in the 1920’s. The introduction of “talkies” quickly put an end to his silent movie career because he couldn’t remember his lines. Over the course of his eleven-year acting career he performed in 55 movies. 1933- The RCMP Cruiser “Adversus” under the command of Chief Petty Officer #12136 E. L. Croft departed from Halifax NS on a voyage to Vancouver BC via the Panama Canal. The 117-foot cruiser completed the trip in only 38 days, arriving ten days ahead of schedule having traveled 6,766 miles. The Adversus was transferred to the Navy. She was lost at sea during WW2, when she was grounded during a gale off of McNutts Island near Liverpool NS on December 20th1941. The sixteen-member crew was able to safely evacuate the sinking ship without any loss of life. 1939– Acting Lance Corporal #10915 Samuel J. Leach accompanied by eight Native Indians participated in the Royal Agricultural Society of New South Wales “Royal Easter Show” in Australia. The fame of the Calgary Stampede had reached the organizers of the Australian event and motivated them to make a formal request to the Department of Indian Affairs and the RCMP to send a group to tour Australia. The natives were selected for their Rodeo riding ability and were from different tribes. Joe Crowfoot from the Blackfoot; Joe Bear Robe, Frank Manyfingers and Joe Yong Pine from the Blood. Edward Onespott and Jim Starlight of the Sarcee; Johnnie Lefthand and Douglas Kootenay of the Stony. The multi-day event attracted nearly one million people. 1958– The world’s largest non-nuclear explosion to date occurs when Ripple Rock a significant shipping hazard in Seymour Narrows near Campbell River, BC is blown up. 1976- Commendations awarded to #21083 Kell Klausen, #32281 J.D. Wheelihan & #32575 E.G. Kenny at Dauphin, Manitoba for successfully apprehending a mentally disturbed man with shotgun. Constable #51939 Sarah Anne Beckett was killed in vehicle collision in Langford British Columbia. 32-year-old Sarah Beckett had eleven years’ service all on Vancouver Island and had recently returned to duty from maternity leave at West Shore Detachment. At approximately 3:30 a.m.another constable encountered a pickup truck driving erratically and attempted to stop the vehicle. Instead of stopping the driver, 28-year-old Kenneth Jacob Fenton accelerated to 90 km. Along with other patrol cars in the area Cst. Beckett sped to the area to intercept the fleeing vehicle. When she arrived at the intersection at Goldstream Avenue and Peatt Road in Langford, the pickup sped into the intersection and smashed into the driver’s door of the police car killing her. Fenton was arrested at the scene and tests revealed that his blood alcohol level was nearly three times the legal limit. He was subsequently charged with five criminal offences and later pleaded guilty to impaired driving causing death and dangerous driving causing death and was sentence to four years in prison. Sarah Beckett was well liked and respected by her peers, she was survived by her husband Brad and two sons. She was given a full regimental funeral that was attended by thousands and televised across Canada. 1940– Commendation issued to #11754 Aime Monette for his part in an Excise Act investigation, ‘C’ Division (Quebec). 1986– Honour Roll Numbers 181 and 182. #21066 Corporal Budd Maurice Johanson age 50 and #A/3512 Auxillary Constable Frederick Allan Abel 23 were killed in a head on collision near Lethbridge Alberta. The two men were traveling in a marked police car on Highway Number 3,a divided highway, six miles east ofLethbridgewithout knowing that there was a vehicle coming towards them in on the wrong side of the highway. Back at the Detachment office #33155 Constable R.D. Muskovich received a complaint of a truck driving with no lights and traveling on the wrong side of road going in the wrong direction but before Muskovich could get to the radio to warn Corporal Johanson they had already been killed in the head on collision along with the intoxicated driver of the truck was and his sleeping passenger were killed. Budd Johanson had been in the RCMP since 1959 and had been married for 22 years and had three teenage children. He was buried at St. Michaels Cemetery in Edmonton. Frederick Abel was single and after a funeral in Lethbridge his remains were cremated. 1988- #27640 J.T.N. Fradet was traveling snowmobile from Rankin Inlet to Cape Fullerton with a guide Lucien Taparti and his son Luke Coady. Near Depot Island Lucien Taparti shot and wounded a polar bear, which then severely mauled him. Despite the cold and blizzard conditions, Fradet transported the injured guide to Saqvaqjuac and then on to Chesterfield Inlet where he was medi-vaced to a hospital where he recovered from his injuries. 1898– A landslide on the Chilkoot Pass kills 72 people who are attempting to climb the pass on their way to the Yukon Gold Rush. #003 Inspector Robert Belcher leads his men down the slide to assist with the recovery and identification of the victims. 1956– #15347 Constable Henry “Bud” Johnstone and #17200 Corporal Al Beach responded to a bank alarm at the Cariboo Trail Shopping Centre in Coquitlam, BC. As Johnstone entered the bank during the robbery, he was shot at several times by members of the Banks Brothers Gang. Corporal Beach who was in position outside returned fire and killed gang member Herbert Howerton. #18031 Constable Bert Schroeder arrived on the scene as back-up and arrested gang members; William Banks, Howard Folster and William Gordon. The remaining gang member Gary Owen fled in the getaway car but was soon intercepted by Burnaby detachment constables #16446 John Fielders and #16596 Hanson who pursued and eventually apprehended him. All four members of the gang were sentenced to 25 years in prison. For his bravery Constable Henry Johnstone was promoted to Corporal the next day and he later received the George Medal for bravery. Corporal Al Beach received a commendation. Both men served full careers and Johnstone retired a Superintendent and Beach a Staff Sergeant. 1974 – #9447 / O.345 Retired Superintendent James Alexander Churchman is invested as a member of the Order of Canada. 2002– While snowmobiling on the Haines Glacier summit following a set of snowmobile tracks, #29237 Corporal Ken Putnam and #44396 Constable Kirk Gale stopped to choose a path of descent off of the glacier. Corporal Putnam stepped to one side of the snowmobile to take photographs when the snow and ice beneath his feet gave way and he fell 30 meters down into a crevasse. After a twelve-hour rescue he was brought back to the surface having only suffered minor injuries. The story of this harrowing brush with death was published in an article in the April 2003 Readers Digest magazine. Corporal Ken Putnam retired in 2005 after serving for 35 years. 1885 –Shortly before dawn Cree War Chief named “Wandering Spirit” (“Kapapamahchakwew,Papamahchakwayo,) also known as Esprit Errant; along with seven other Cree warriors’ attacked the settlement at Frog LakeSaskatchewan. Having been exposed to the ideas of Louis Riel, and resentful of the local Indian Agent, Thomas Trueman Quinn’s policy of “no work, no rations”, he and his raiding party trashed the Hudson Bay Post and police barracks. When Quinn refused to be moved to the Cree encampment “Wandering Spirit” shot him in the head and ordered the death of all of the whites. Eight more people, sawmill operator John Gowanlock, farming instructor John Delaney, Catholic priests Rev. Leon Fafard and Felix Marchand, clerk William Gilchrist, trader George Dill, carpenter Charles Gouin, and John Wolliscroft, Father Fafard’s lay assistant were then killed. The only three survivors;William Bleasdell Cameron, Theresa Gowanlock and Theresa Delaney were takenprisoner. Wandering Spirit along with Bad Arrow (Manchoose), Iron Body (Nahpase), Little Bear (Apischaskoos), Miserable Man (Kitahwahken), Walking the Sky (Pahpahmekeesick) was eventually captured and hanged on November 27, 1885 at Battleford, Saskatchewan, in what became the largest mass execution in Canadian history. 1942– Columbia Pictures releases the movie “North of the Rockies” (also known as “Royal Canadians”) starring Bill Elliott as Sergeant Bill Cameronand Tex Ritteras American lawmanTex Martin. Both men are after a gang of men who are smuggling furs across the border. When the villain Morgan sets up Tex to be found with furs, the Mountie arrests him for smuggling. But he lets him go hoping Tex will lead him to his gang. Eventually the two lawmen join forces and capture the really bad guys. 1967– Retired Mountie murdered by neighbor. Johannes E. Nyman a friend and neighbor of a retired Mountie #7905 Howard Rayner came over to his house and asked him to phone a doctor because Nyman’s landlady was ill and then went back home. The elderly retired constable who had served in the Force from 1919 – 1922 made the phone call and shortly thereafter the distraught neighbour returned and said that if doctor didn’t come soon, he would shoot Rayner. A few minutes later he arrived back at Rayner’s armed with a rifle and shot through the door killing Rayner. The neigbours heard the shot and phoned the Kimberly Detachment and shortly thereafter policemen arrived at the scene and found themselves being shot at by Nyman. The police returned fire and Nyman and after he was wounded by #17810 Eldon Rodger, #23870 Constable Donald Butler rushed the wounded gunman and tackled him. Eight months later Nyman was sentenced to six years for manslaughter. 1974– Honour Roll Numbers 148 and 149.Constable #28371 Constable Joseph Michel Benoit Letourneau age 23 and #29978 Constable Joseph Henri Clément Tremblay age 21 were killed in a police motor vehicle accident at St. Etienne des Gras, Quebec. Constable Letourneau was driving an unmarked police car in a snowstorm on Highway 55 a few miles south of Shawinigan, Quebec. With him was his partner from the Trois Rivieres Detachment, Constable Clément Tremblay. As Letourneau attempted to pass a moving school bus his car became hindered by the heavy slush in the center of the road and as he tried to get back into the right lane they were hit head-on by an approaching tow truck. The collision spun their car around into path of the school bus and both men were crushed between the two larger vehicles. Fortunately, no one was injured in other vehicles, but both members killed. Constable Letourneau was survived by his wife Marie and was buried at Saint Georges Ouest in Beauce, Quebec. Constable Tremblay was buried at the St. Francis Xavier Cemetery in Chicoutimi, Quebec. 1986– Commanding Officers Commendations were presented to #17550 / O.1018 Inspector S.G. McNaughton, Sergeants #23631 Donald Roy James, #24958 R.M.B. Crowhurst, #28326 Corporal P.W. Pitts and #32130 Constable C.A. Paley in recognition of their work on a major drug investigation that resulted in the seizure of 13 tons of Hashish. 1990– Former Commissioner William Leonard Higgitt passed away at his home in Ottawa. He first joined the RCMP on July 1, 1937 as a reserve constable #R/200 and became a regular member #12979 in September of the same year. Commissioned as Sub-Inspector #O.0435 in 1952 he rose quickly through the ranks becoming the Commissioner on October 1, 1969 and held the position until he retired in 1973. 1990 – Commendation issued to #40559 Lorne H. Adamitz for the arrest of an impaired and suicidal man north of Valleyview, Alberta. 1886– Lawrence William Herchmer becomes the fourth Commissioner and serves until July 31, 1900. 1918– The Alberta government declares total prohibition of alcoholic beverages. 1922– Honour Roll Number 45. #4396 Corporal William Andrew Doak age 39 was murdered by an Eskimo prisoner who was being held for murder, at Tree River, N.W.T. William Doak had joined the RNWMP in 1905 as a Bugler and worked his way up to the rank of corporal, spending most of his career in the Arctic serving at Herschel Island and eventually at the remote outpost of Tree Island. This was a period of time when the local aboriginal communities were strife with feuds over the shortage of women and wife stealing was a common problem. The feuds often lead to murder and infanticide. Shortly before his death Cpl. Doak and Constable D.H. Woolams had arrested two Inuit for the murder of five people. The prisoners; Tatamagama and Alikomiak were being held in the cells at the Tree Island Detachment when Alikomiak managed to get out of his cell. He then stole a rifle and went into the Detachment and shot Cpl. Doak as he lay sleeping in his bed. After murdering Doak, Alikomiak waited in the detachment and when he saw Otto Binder, the local Hudson Bay Store manager approaching, he shot him dead as well. When Cst. Woolams heard the shooting he rushed in and managed to overpower the gunman and take the rifle away from him. Both William Doak and Otto Binder were buried at Tree River and Tatamagama and Alikomiak were later convicted for multiple murders and hanged at Hesrchel Island on February 1, 1924. 1923– Commissioner A. Bowen Perry retires having been the Commissioner of the RNWMP and the RCMP for 23 years. He is replaced by Cortlandt Starnes as the sixth permanent Commissioner who serves until July 31, 1931. 1932– RCMP absorbs provincial police forces of Nova Scotia, New Brunswick, Manitoba and Alberta and the Preventive Service. 1935 – The town of Flin Flon, Manitoba becomes the first municipality in Canada to contract the RCMP to provide municipal policing. The terms of the five-year contract stipulated that a three-man force would be maintained in the municipality in return for an annual payment of $3,000. 1947– The RCMP Marine Division is created. 1949– Newfoundland joins confederation and the RCMP assumes responsibility for federal policing. 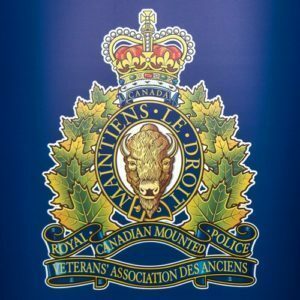 Sixteen months later the RCMP assumes responsibility for provincial policing as well and absorbs the Newfoundland Rangers into the RCMP. 1959– Charles Edward Rivett-Carnac agrees to delay retiring and become the tenth permanent Commissioner and serves one year. 1960– Montreal born, #8758 Clifford Walter Harvison becomes the eleventh Commissioner. Replacing C. Rivett-Carnac who had been Commissioner for only one year having delayed his retirement when his predecessor Commissioner L. H. Nicholson resigned in protest. Commissioner Harvison retired on October 31, 1963 and later published a book on his career entitled “The Horsemen”. 1970– The rank of “Marine Constable” is discontinued. 1974– The rank of “Sub Inspector” was discontinued. 1976– The St. John Ambulance Meritorious Certificate was awarded to #31265 Constable Alexander D. Wilson. He found Mr S. Raposo semi-conscious in a partially submerged car that had been involved in an accident near Edson, Alberta. Constable Wilson entered the water and held the victims head out of water while applying a pressure dressing to the man’s severed arm. After the victim was transported to the hospital by ambulance, Wilson recovered the severed arm and rushed it to hospital.